Whether you are a community leader looking for a good musical, a lifelong learner taking an art class or a student killing time between classes, we invite you to experience the arts and culture at Gulf Coast State College. Set your soul on an adventure! 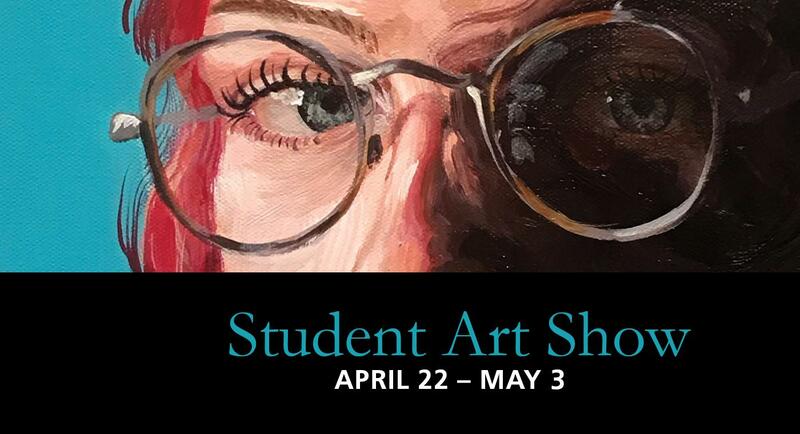 Come join GCSC for a musical concert, visit an art exhibit in the Amelia Center Gallery or experience some of the best theatre productions in northwest Florida. Events are often free or very reasonably priced. Be sure to check the college calendar for upcoming events. Each semester, Gulf Coast faculty curate a diverse program of contemporary arts entertainment on the Gulf Coast State College Panama City Campus. The Amelia Center Gallery hosts art exhibitions, lectures and events by Gulf Coast students and faculty as well as local and national artists. Visit the gallery schedule to learn more about upcoming exhibits and events. Want to see some of the previous shows? Take a virtual tour by visiting the gallery’s online exhibit archives. Are you an artist interested in exhibiting, giving a lecture or workshop on campus? Read our call for proposals, gallery specifications and submission guidelines, and submit an application. Gulf Coast State College Amelia Center Gallery is located in the Amelia G. Tapper Center, room 112. The gallery is open Monday through Thursday, 10:00 a.m. – 7:00 p.m. and Friday 10:00 a.m. – 4:00 p.m. during the fall and spring semesters. The gallery is closed during the summer. All gallery shows are free and open to the public. Contact the Amelia Center Gallery: pamromin@gulfcoast.edu, 850-769-1551, ext. 4874. You can also follow their Facebook page! Engross yourself in a stage performance. The Gulf Coast State College Theatre Department produces several dramatic plays and musicals each semester on the Amelia G. Tapper Center’s main stage or in the intimate Black Box. The student club, the GCSC Players, also performs variety shows, comedy nights and Improv workshops throughout the year. Visit the College’s event calendar or the GCSC Theatre Facebook page for announcements about upcoming events. Don’t miss our music! 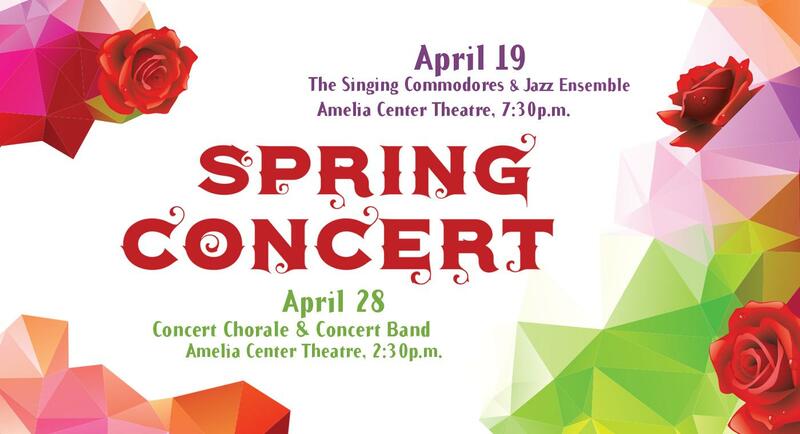 Gulf Coast's music groups, the Concert Chorale, the Singing Commodores and the Instrumental Ensemble periodically hold free concerts at the Amelia G. Tapper Center for the Arts. Watch for upcoming events on the College’s events calendar or the Gulf Coast Visual and Performing Arts Facebook page. The Omni Review, Gulf Coast State College’s literary and fine arts blog, gives student and alumni writers, poets and artists an opportunity to have a voice and be published. The review fosters an appreciation for the arts, cultivate creative community and inspire creative expression. Enjoy fine dining in the Advanced Technology Center’s John Holley Dining Room. Gulf Coast students in the culinary arts management and the hospitality and tourism management programs treat the campus and community with lunch and dinner specialties during the fall and spring semesters. Make a reservation for lunch featuring alternating à la carte or banquet-style “Cuisines of the World” menus. In the spring, you can also savor a magnificent dinner featuring classical French cuisine as prepared during the lifetime of Escoffier. Reservations are required and open September 15 for the upcoming year. Check our dining dates and read our reservation guidelines. Want to learn to express yourself through art? Gulf Coast State College’s continuing education department offers adult enrichment classes in the arts or performing arts for anyone living in or visiting the Panama City area. Classes change each semester, but have included photography, theatre, drawing, metalworking, watercolor and even how to play the ukulele. Courses are held on the Panama City and Franklin/Gulf campuses. Search for a class or review the latest course catalog. Gulf Coast State College is always looking for talented people to teach noncredit, adult enrichment classes. If you’ve always wanted to teach your craft, contact Corporate College with your course idea and resume. For information about for-credit classes in art, music or theatre that would lead to a degree or certificate, visit the Gulf Coast State College programs page.